The Triflow Darwin delivers a great performance with it's exquisitely designed filter water system. This model provides the household with instant filtered drinking water at the turn of a tap. 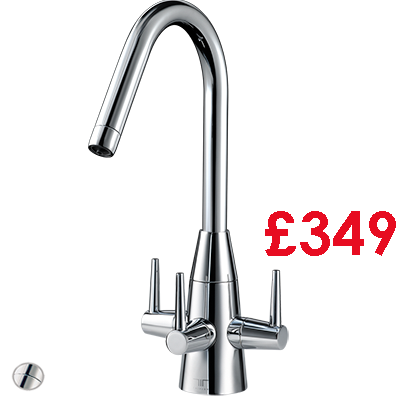 Complete with a dedicated waterway within a single spout, it allows water to be delivered without cross-contamination. Use with our Katadyn filters to ensure the fresh, filtered drinking water.